Longer work weeks could mean quicker votes on two of President Donald Trump’s nominees who Senate Democrats attacked for their religious views. Senate Majority Leader Mitch McConnell, R-Ky., responded to demands by some senators by reportedly planning longer work weeks that include Fridays and potentially weekends. This comes after months of a light schedule, with senators arriving late Monday and adjourning early Thursday. Some conservatives have blamed this in part for the slow pace of confirmations for Trump’s nominees. However, the new schedule still might not help Trump’s nominee for deputy director of the Office of Management and Budget. Russ Vought’s confirmation isn’t being blocked by Democrats but rather the No. 2 Republican, Senate Majority Whip John Cornyn of Texas. Cornyn is holding up Vought’s confirmation until Texas gets more hurricane relief money from the Trump administration, Axios reported Thursday. Cornyn has not responded to multiple press inquiries. Democrat senators attacked the religious views of both Vought and Barrett, who Trump nominated to be a judge on the Indiana-based 7th U.S. Circuit Court of Appeals. There is no scheduled vote yet for either Vought or Barrett, said David Bopp, a spokesman for the majority leader’s office. “I support the confirmation of Russ Vought and Amy Barrett,” Sen. Roger Wicker, R-Miss., told The Daily Signal in a statement. These two nominations in particular highlight the tactics being deployed by Senate Democrats to distort the rules, abuse the process, and bring into question the Christian faith of these two well-qualified conservatives. I am pleased that the majority leader has agreed to hold the Senate in session for longer workweeks so that we can overcome these needless partisan delays. Wicker was among the senators who sent the letter to McConnell demanding more stringent work weeks to push through nominations and legislation. During that hearing, Sen. Al Franken, D-Minn., also criticized Barrett for teaching students in a fellowship program offered by Alliance Defending Freedom, a religious liberty legal group. 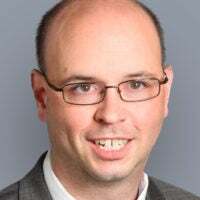 Barrett is a law professor at Notre Dame University, and previously taught law at George Washington University and University of Virginia. She served on the legal team representing George W. Bush in the Bush v. Gore case that went to the Supreme Court to settle the 2000 presidential election. During Vought’s confirmation hearing in June, it was Sen. Bernie Sanders, I-Vt., who caucuses with Democrats, that raised suspicions on religious grounds. “You wrote, ‘Muslims do not simply have a deficient theology. 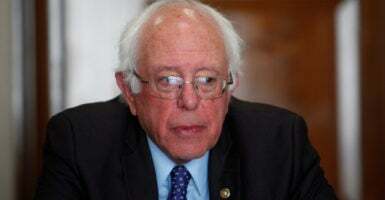 They do not know God because they have rejected Jesus Christ, His Son, and they stand condemned.’ Do you believe that that statement is Islamophobic?” Sanders asked. Absolutely not, Senator. I’m a Christian, and I believe in a Christian set of principles based on my faith. That post, as I stated in the questionnaire to this committee, was to defend my alma mater, Wheaton College, a Christian school that has a statement of faith that includes the centrality of Jesus Christ for salvation. Sen. Mike Lee, R-Utah, also said he is encouraged that McConnell will be beefing up the workload in the Senate, with just a few weeks remaining before the Christmas recess. This story was updated to include information about Cornyn’s hold on Vought.